Congrats to our sellers and friends Chris & My for successfully selling their home with our team! Let us share with you Chris & My’s story, and how we help them sell their home for the highest amount in the complex in years at $32k over the previous highest sale. The family was looking to sell because the mother-in-law wanted to be closer to the family. 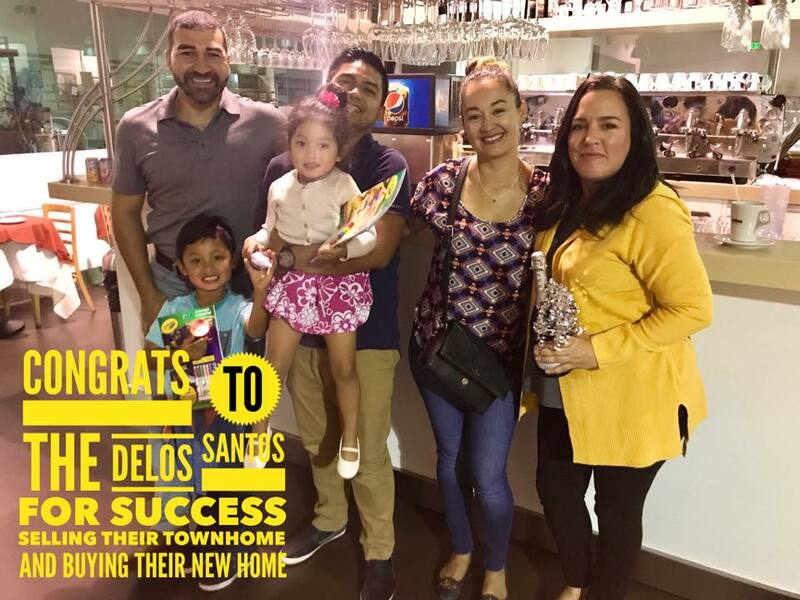 After interviewing multiple agent’s, they decided to list with Remo and team since they were the right fit to help them on their journey. After we formalized our relationship to sell their Pico Rivera home by signing a listing agreement, we were off to the races. After some of our recommendations and services by some of our talented resources. The home was renewed with exterior and interior paint, recessed lighting, painted kitchen cabinets, new granite counter-tops, and landscaping in the front and backyard. Check here to see the before and after’s. After the home was ready, we provided our complimentary staging of all the rooms. The family spent a little under $10,000 and it took them about 4 weeks before putting the home on the market. Our results… towards the end of the rehab, we ran two weeks of our Pre-Marketing to start the initial buzz of the home. After a week on the market, we received 5 offers and we closed 28 days later for $16,000 over the list price and $32,000 over the highest price sale in the complex in years! Chris and My’s full story is truly inspiring and it is our pleasure that they are now a part of our Team’s family. Thinking about selling or buying, call/text 562-762-8581…We promise to roll up our sleeves and make some magic happen for you as well. After finding us on Yelp.com, and watching many of our educational videos, they decided to reach out to us and attend one of our Home Buyer Workshops. After a few weeks and Josh's great effort, Geoffrey and Kristin got their offer accepted on what is now their first home. Thank you to Matthew for securing the financing, Josh his commitment to show 12+ home in a day, and for Kristin and Geoffrey for reaching out to us and allowing us to be part of this moment with you. Thinking about buying, call/text 562-762-8581… The hot tub is not always included. We first met Jeff and Nadia about five years ago when we helped them buy their home. Fast forward a few years, and Jeff getting accepted into a PhD program in Utah, and this family needs to head East!! Before we listed their home, Jeff and Nadia spent a week or two uncluttering/depersonalizing their home and making a few upgrades that we recommended. After the home was ready, Victoria came in with her designer eye and got the home staged to look like a million bucks. The end result was 8 offers in the first 10 days, and us closing shortly after. Thank you to Jeff and Nadia for reaching out to our team once again and allowing us to help you sell your home. We are excited about your move to Utah and wishes you all the best. A special thanks to our Title Officers, Juan and David, for jumping through hoops to get the deed recorded at the last few mins. Thinking about selling, call/text Remo at 562-762-8581 and we will show you how our marketing efforts got Jeff and Nadia almost $20,000 above their listed price.